The mark 1 6550 one, have issues with the poor quality of 6550 cooking them off. Which happened to this, pair of the 6550 gone, taken a buncha resistors out. 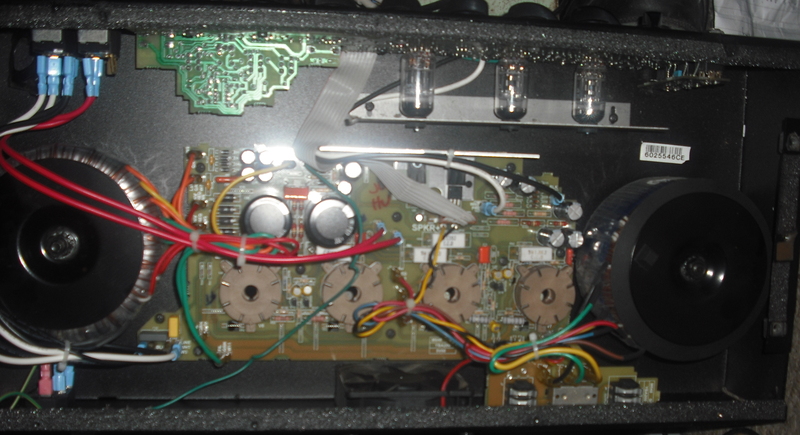 Pretty plain PCB job inside, replaced the resistors, checked in a coupla spare valves, fires up fine.